When it comes to understanding how to furnish a space, angled walls create problems for people. Especially when a potential buyer walks into an empty room, figuring out furniture layout can be challenging. When you’re selling your home, don’t let that be a deterrent. Instead, hire a professional to stage those challenging spaces. magine walking into this room with angled walls that we staged in a Bridgeland, Calgary condo. If it was empty, where would you be inclined to place the bed? Against the angled wall with the window? It might not be hard to leap to the conclusion that it’s not a very usable space. The power of staging is that it helps to avoid all those questions (and related hesitations and conclusions) from arising in the potential buyer’s mind in the first place. And when you’re selling your home, you don’t want to leave any room for potential buyers to feel hesitation and doubt. Why? Because that could be the difference between a SOLD and active listing. In the end, that costs you both time and money. So, when it comes to dealing with angled walls and other challenging features in your listing, consult with a local staging professional for trusted advice. Put your listing’s best foot forward! Want to see more examples of the power of staging your listing with instant impact? 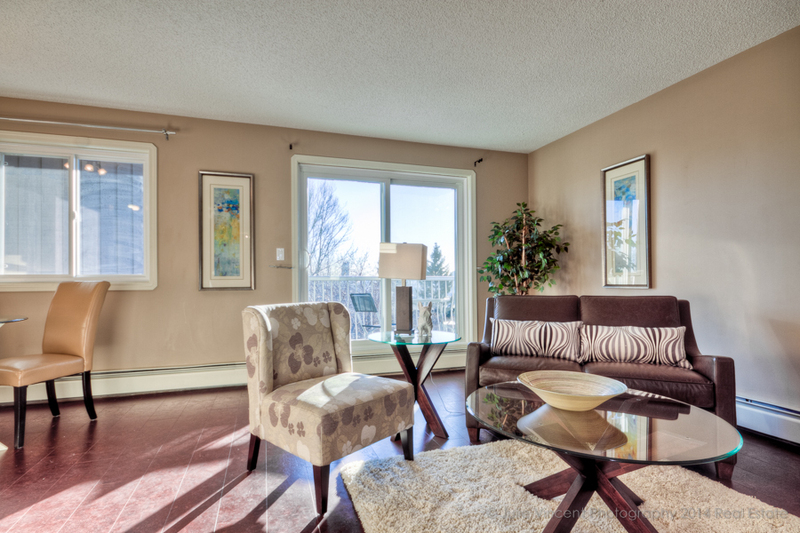 Check out the Simply Stylish Staging Facebook page for more photosof the Calgary properties we have styled to sell.